Dr. Abdul Majzoub fellow of American Academy of Implant Dentistry (AAID) and graduate from Northwestern University Dental School. Dr. Majzoub chose a career in and a lifetime commitment to dentistry because of the impact and high quality dental care can have on people’s lives. He graduated from North Western University Dental School in 1992 where he was a part time faculty as a lecture and clinical instructor in the restorative department. Dr. Majzoub has a special training in the field of implants (including the surgical and prosthetic). He is a Diplomate of American Board of Oral Implant ology/ Implant Dentistry. Also, he is a diplomate of the International Congress of Oral Implantologist. One of the secrets behind Dr. Majzoub smiles is that he considers cosmetic and restorative dentistry to be elements that go hand in hand. 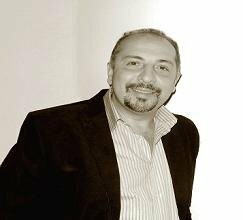 Dr. Majzoub is member of the academy of cosmetic Dentistry. He also has a special training in advanced endodontics technique. (Root canal therapy) from University of Illinois at Chicago Dental School. He also had surgical training and management of periodontal disease. In addition, he gained a certificate of anesthesia from Illinois Masonic Hospital. Dr.Mazjoub is a board certificate dentist. His years of experience and his continuing education training in the field of cosmetic dentistry, surgical treatment, including wisdom teeth extraction can provide the most advanced dental care available to his patients.